Fire Crews Called to Manhole Explosion in NW D.C. Firefighters in D.C. are responding to a manhole explosion near Farragut Square. Fire crews were called to the intersection of 17th and L streets NW just before 7:30 a.m. Wednesday, police say. 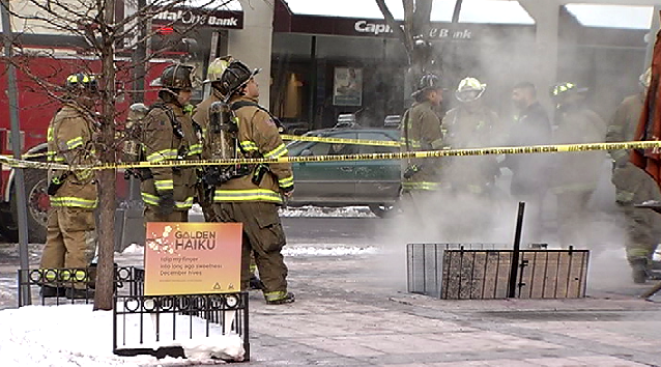 Video from the scene shows smoke coming from a grate on the sidewalk. The fire has been extinguished, fire officials tweeted. There's no word on what caused the manhole to explode.